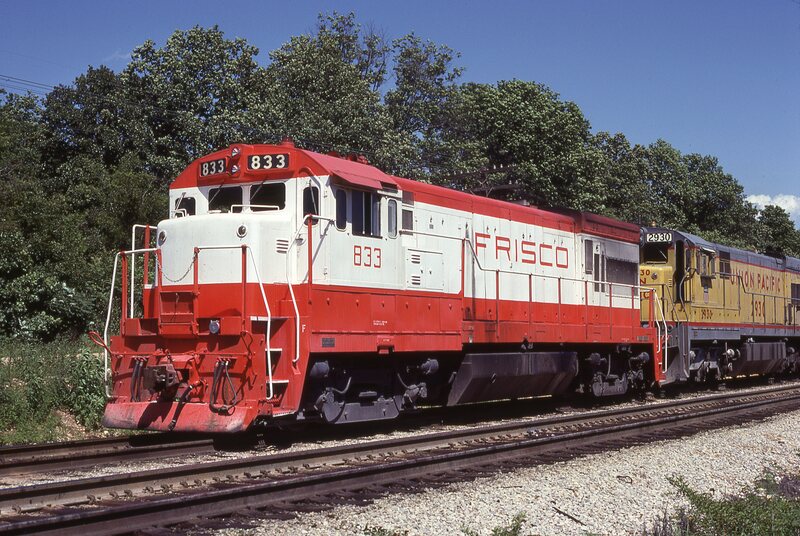 U30B 833 at Thayer, Missouri on June 29, 1979 (R.D. Acton). 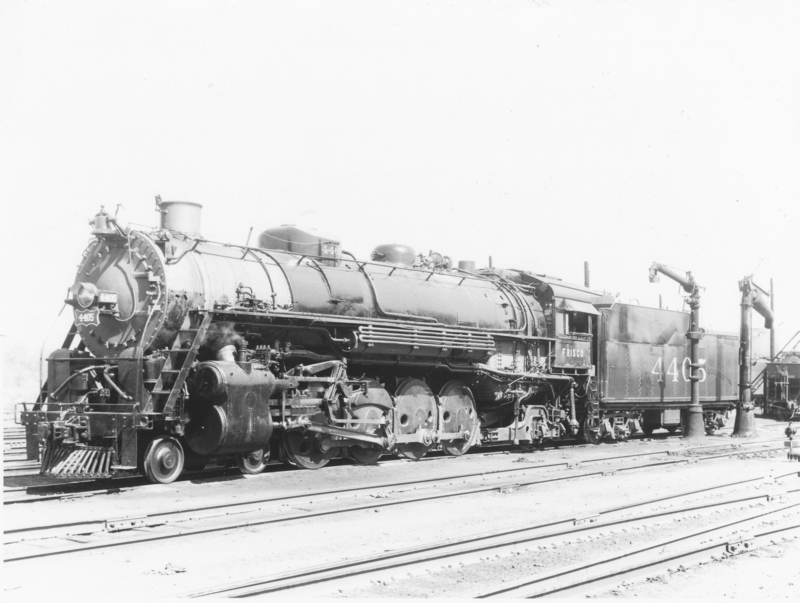 GP7 517 at Clinton, Oklahoma (date unknown). 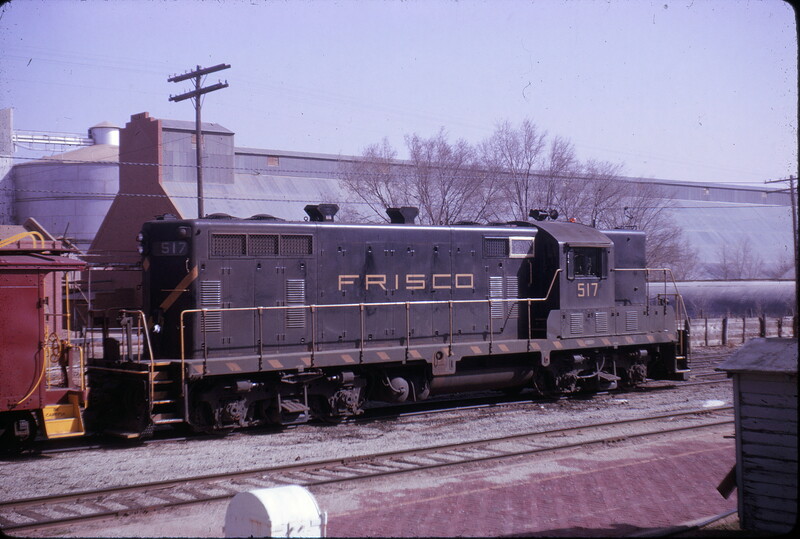 This photograph was taken near the south end of the depot platform at 120 East Frisco Avenue. 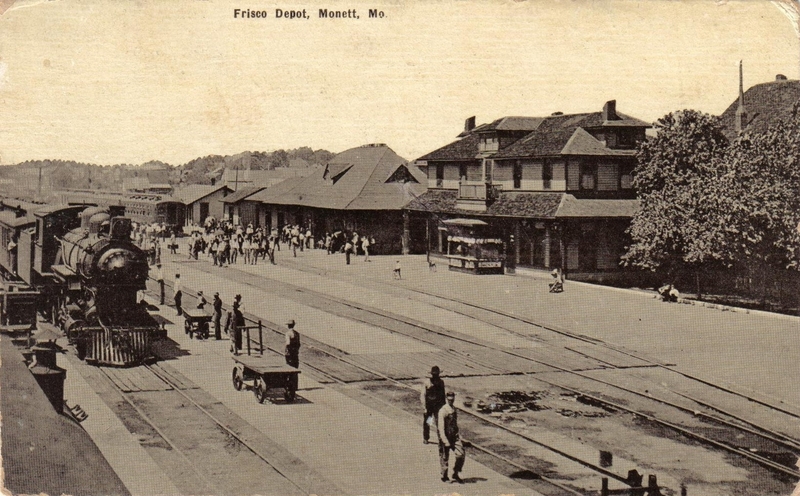 The buildings in distance are part of the Clinton Cotton Oil Mill. This was a cotton compress business. 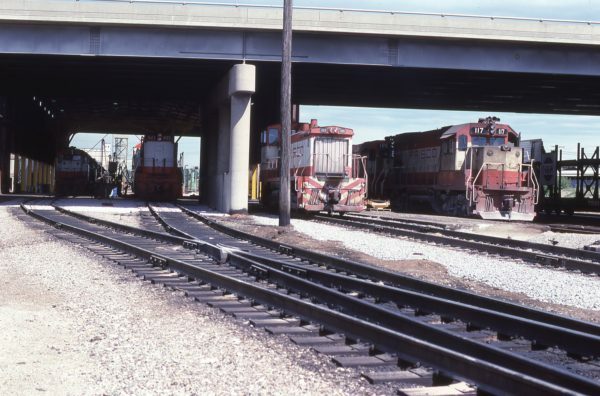 Above the locomotive the long structure with the brick wall on the north end is the seed house. To its immediate east is a 60 foot tall iron seed tank. 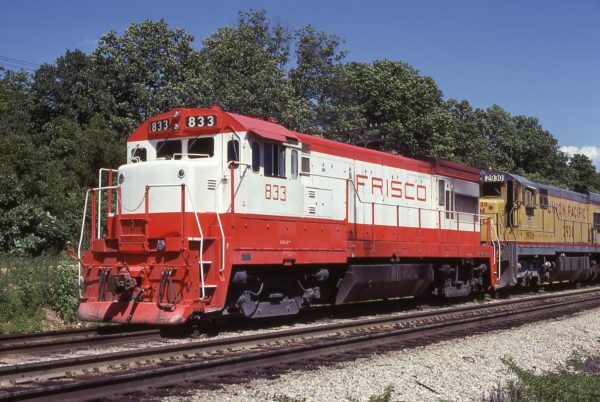 Clinton was a Frisco division point. To the north is the Enid Subdivision (Enid to Clinton). To the south is the Hobart Subdivision (Clinton to Vernon, Texas). 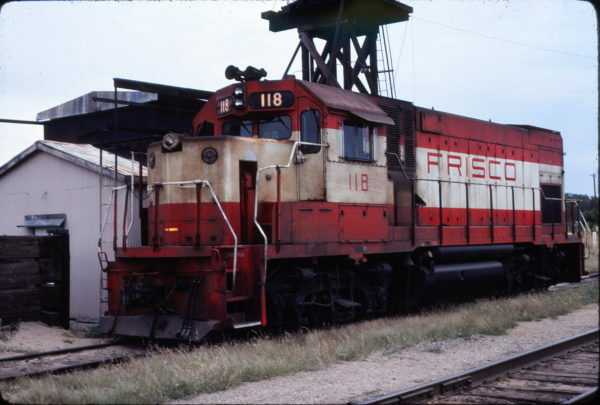 The segment from Davidson, Oklahoma to Vernon, Texas (15.32 miles) was abandoned in 1957 after a large flood destroyed the Frisco’s bridge over the Red River between Oklahoma and Texas. One block west, behind the photographer, at 112 South First Street, is the Kansas City, Mexico and Orient (KCMO)/Clinton, Oklahoma and Western (COW) depot. 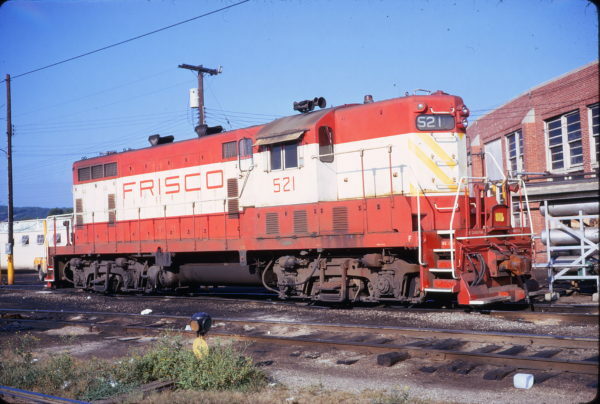 These railroads became part of the Santa Fe. 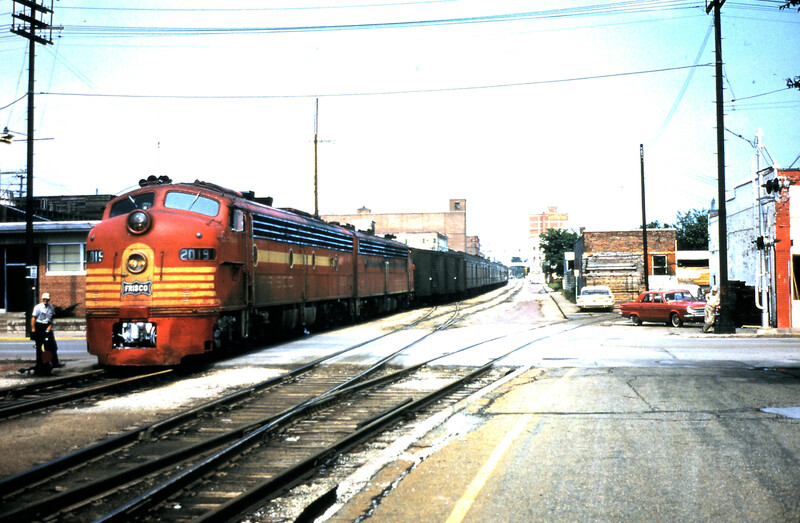 That depot is boarded up but still stands in 2017. The view is looking east southeast. 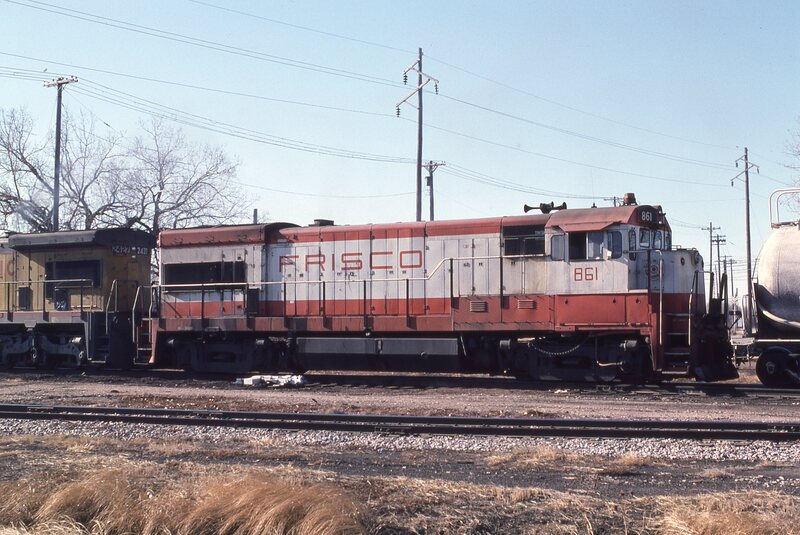 SD45 922, U25B 821, SW1500 349, GP15-1 117 and GP15-1 105 at Springfield, Missouri on April 25, 1979. GP7 521 at Tulsa, Oklahoma on August 19, 1973 (Phillip Faudi). Postcard – Monett, Missouri Depot. 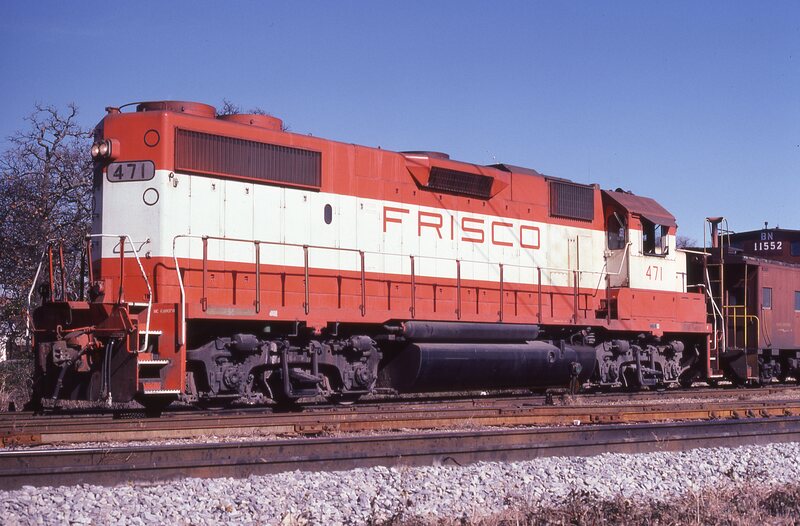 GP38-2 471 at Irving, Texas on December 18, 1980 (John Nixon). 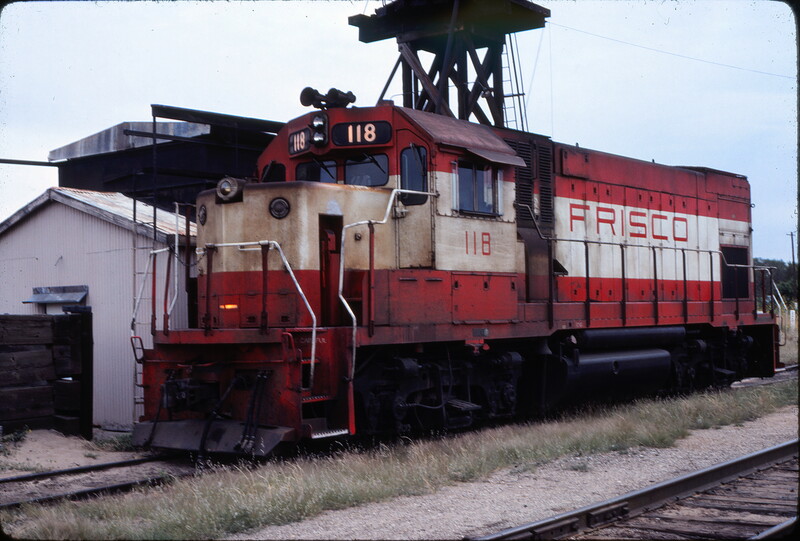 GP15-1 118 at Enid, Oklahoma in September 1980. Frisco-built 4-8-2 4405 (date and location unknown). 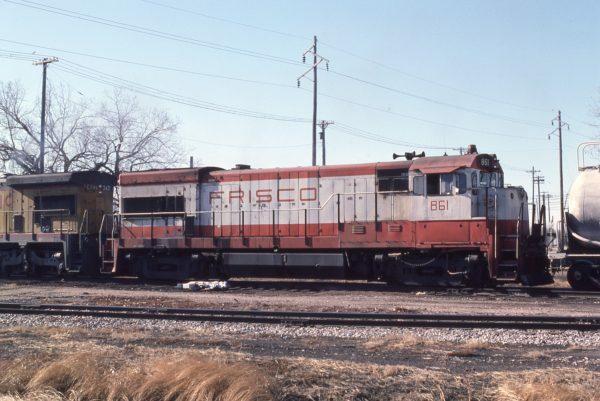 U30B 861 at Lincoln, Nebraska in December 1980 (J.C. Butcher).